The starting point to the process is a comprehensive design. 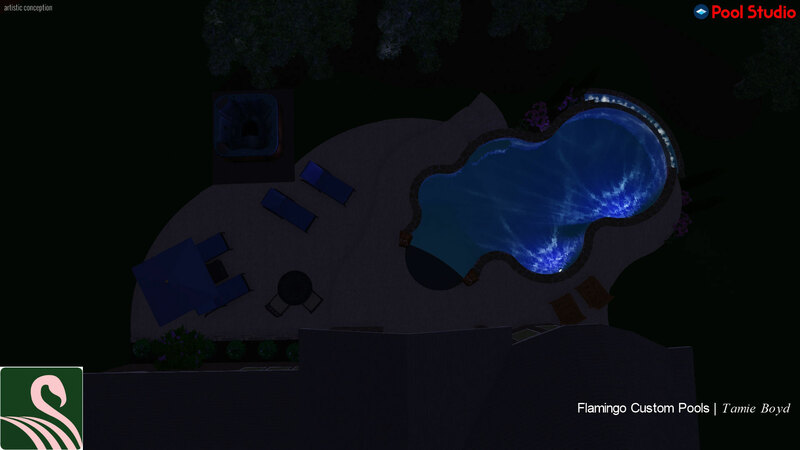 We don’t just design a pool, we design the entire space to include any landscape, hardscape, and lightscape. 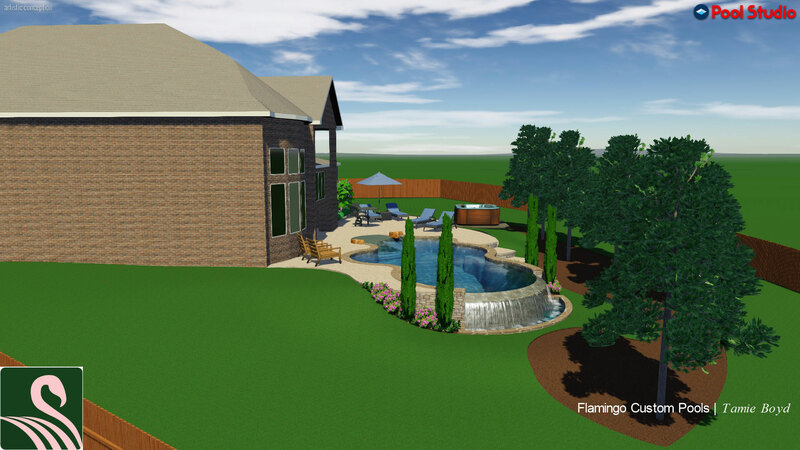 We do this so that your design is complete and you will have a visual representation of the outdoor space you have only been able to imagine. We will work closely with you to understand what you want to accomplish in a way that will work best for your space. Once we have some ideas on the design, we’ll need measurements. It’s always best to work off your property survey so we can confirm property lines, easements, utility rights of way, etc. Together, we’ll go through the equipment and lighting options to help you choose what will be needed to bring your project to life, all while keeping your budget in mind. Let us know if there are other needs or wants for the space, such as an outdoor kitchen, fire pit, etc. Even if these items are to be added later on, it’ll be vital to plan for them ahead of time. Once we have reviewed the information from the initial consultation, our design team will begin creating both two- and three-dimensional models. These models will help you further refine your ideas and will enable us to notice and avoid potential issues during construction. No matter how simple or complex your design, together we will review and update the design until you are ready for that Final Approval. Then, the Construction Phase begins! Your yard will look much worse before it gets better! Although we will clean up after key stages and keep things tidy everyday, there’s no getting around the fact that you’ll have a large hole in the ground and scraped earth until we get it completed! We understand keeping your area clean and tidy is important and, weather permitting, will do our best to complete your project on schedule. 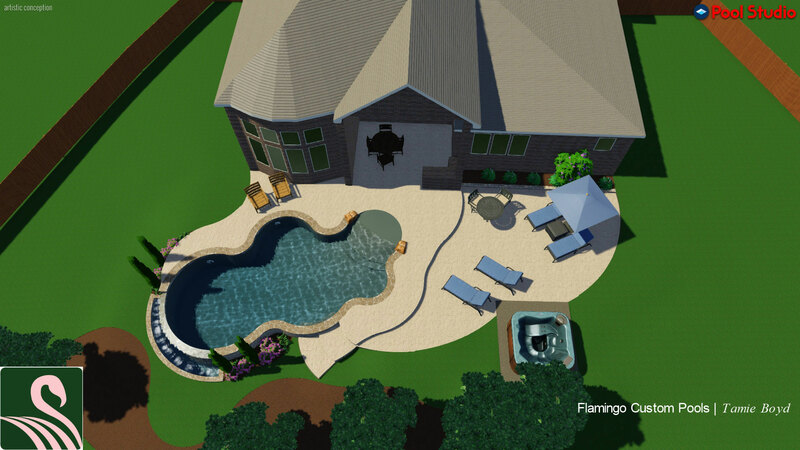 We start by digging out the area necessary for the size of your pool and begin shaping the ground according to the specifications for your pool design. 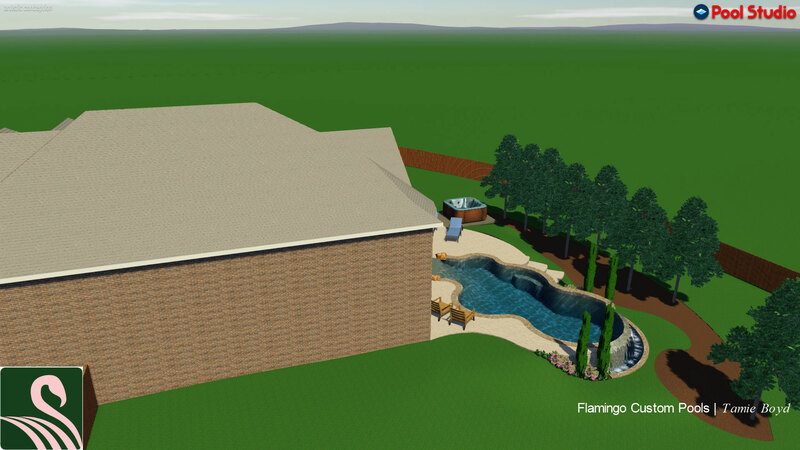 We begin forming the walls around your pool with steel grid construction. 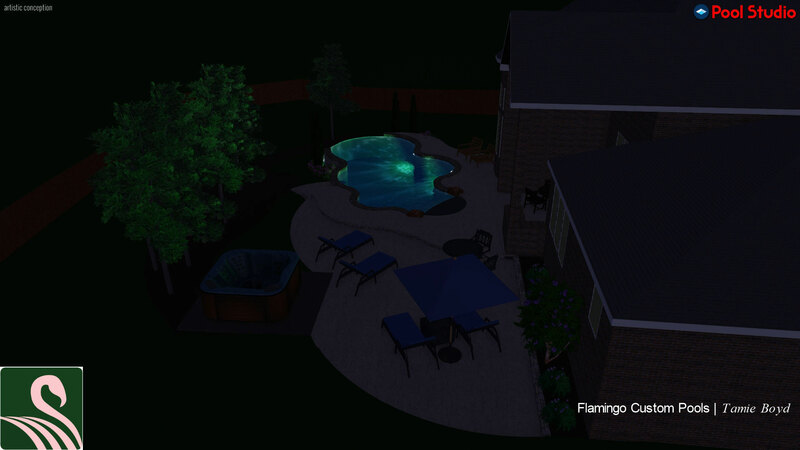 By the time this process is completed, you’ll have a good idea of what the outline of your pool will look like! We’ll pour the walls around the steel grid that were installed in the Forming Step. 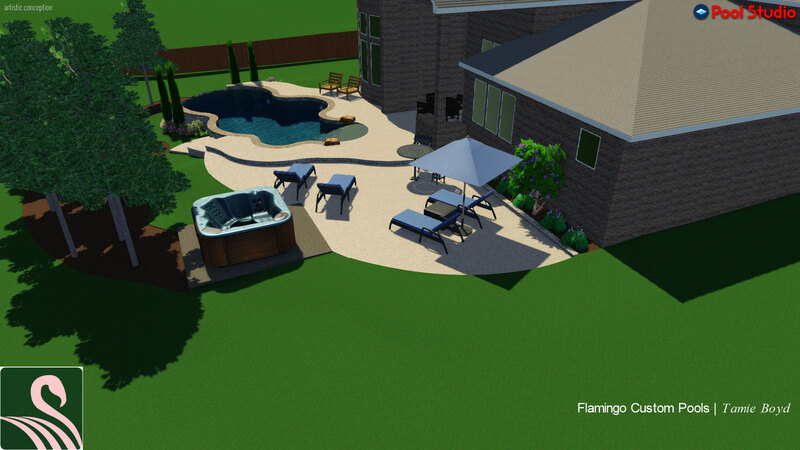 This will provide the hard surfaces necessary for the interior of your pool. Once the hard construction is completed, we install all the final touches, such as landscaping, hardscaping, lightscaping and accessories. Then just add water! Now that the construction has been completed, it’s time for the family to enjoy the new living area! 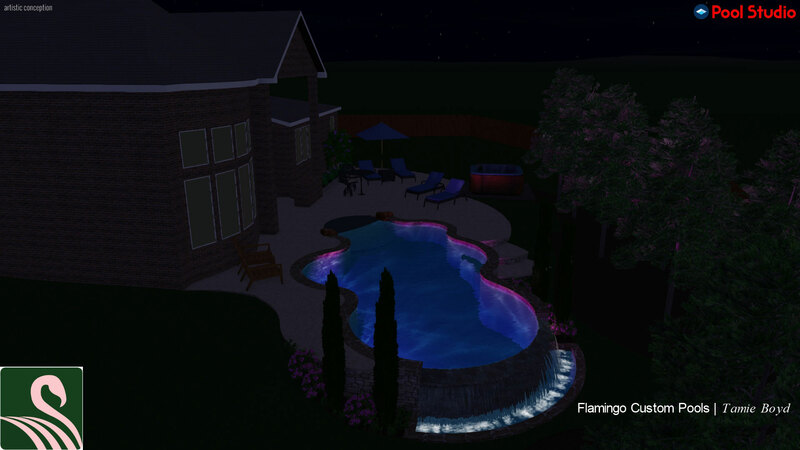 Provide your own periodic maintenance or hire Flamingo to do it all and really experience care free joy! 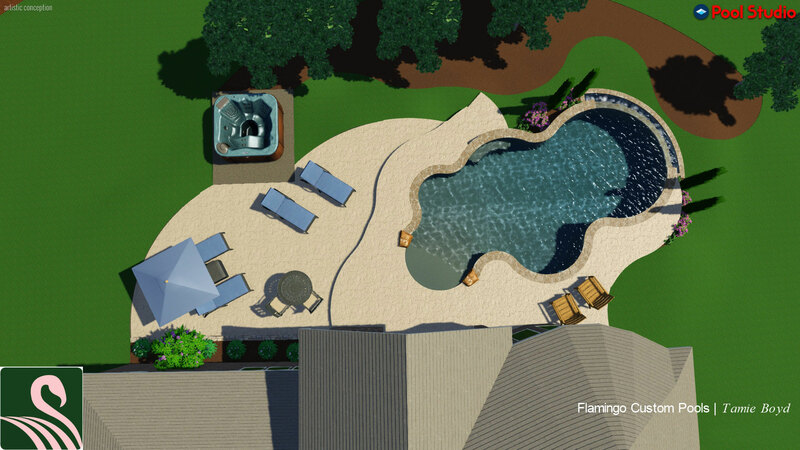 We complete the process by checking the water chemical balance and taking you through Flamingo’s Pool School to prepare you for Pool Ownership and Maintenance. If you like, we can also provide service and maintenance for you; let us know during the close-out discussion.